Planning to visit Disney? 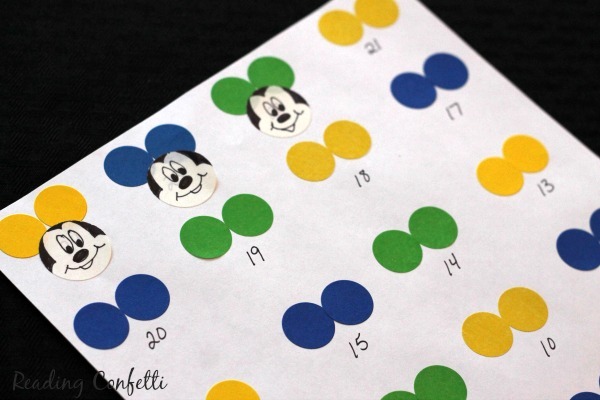 Make this easy countdown to a Disney vacation so kids can see how many days are left until your trip. 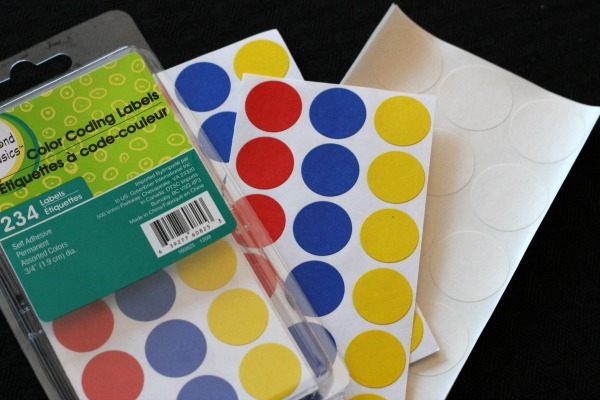 All you need are office stickers, paper, and a marker. Once we told our kids that we were taking them to Disney, they immediately started asking when we could leave. I wanted to make a countdown that made it easier for our preschoolers to visualize how many days until our trip. And also to cut down on the thousands of times they ask me "How many days is it now??" 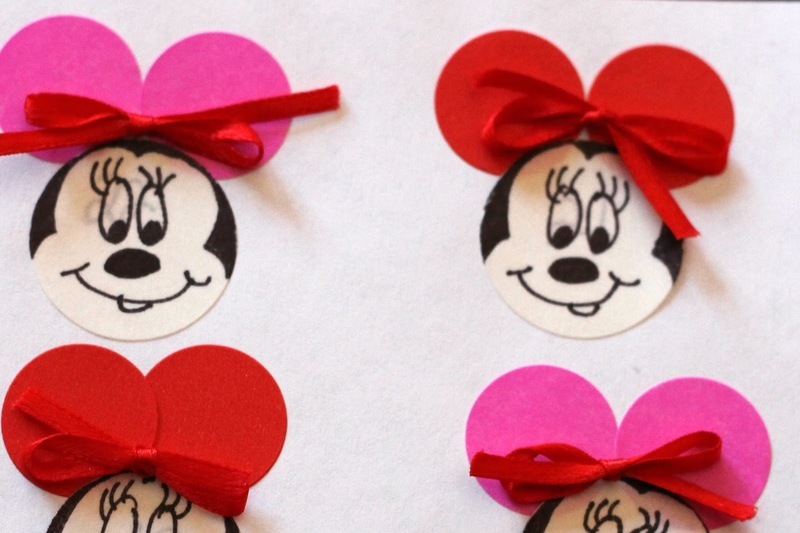 To make it, I used supplies from around the house: colored and white office stickers, paper, and ribbon (for the Minnies). 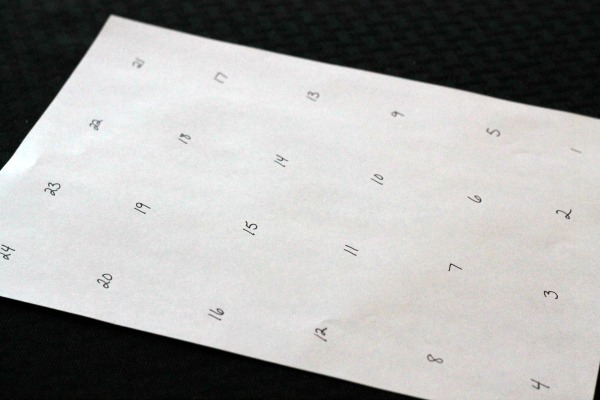 I wrote numbers on a piece of paper starting with the number of days left until our trip and counting down to one. Next I added colored office stickers above each number to make mouse ears. 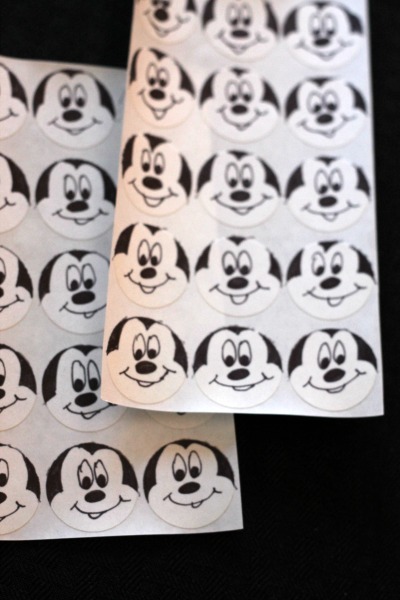 I drew Mickey faces on the white office stickers. 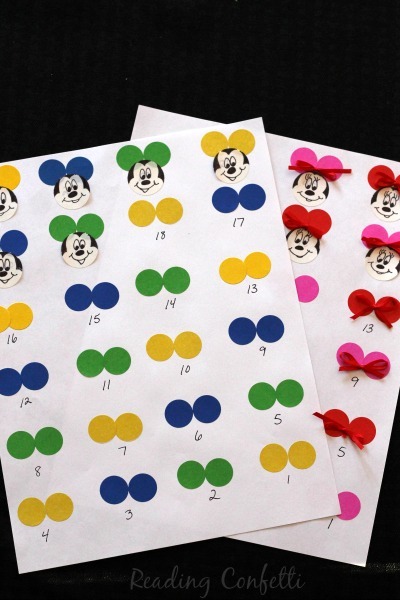 Each day they cover a number with a Mickey face sticker. 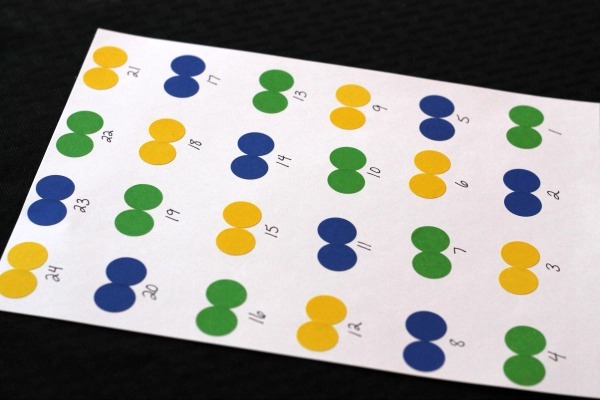 They know the next number tells them how many days are left and they can also see how many numbers they still need to cover. Of course, I also did a Minnie Mouse version for my daughter. There's lots more Disney countdown ideas and helpful Disney tips at 123 Homeschool 4 Me. If you're planning a trip to Disney, Beth has lots of great information to share. Have you been to Disney? I'd love to hear any advice you have, especially tips for taking younger kids. this is darling! disneyland is the best! This is genius, Lorie. Total genius.